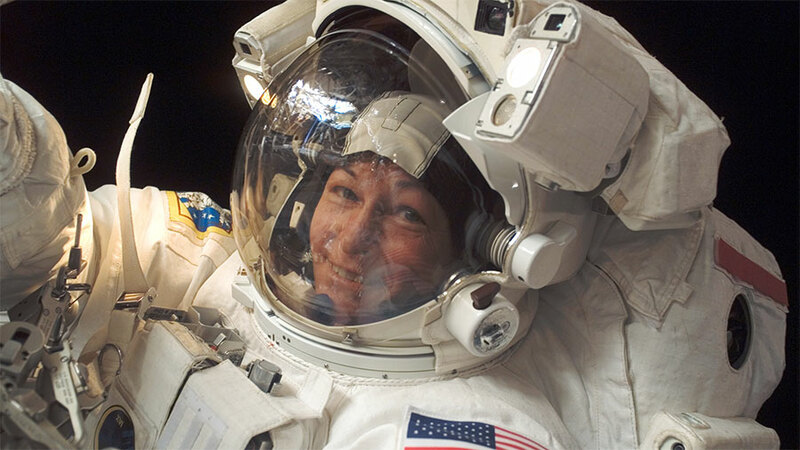 Astronaut Peggy Whitson is pictured during her last spacewalk which took place nine years ago in January 2008. The crew is getting ready for a pair of spacewalks scheduled for this Friday and next Friday to upgrade the International Space Station’s power system. The two spacewalks will take place on the station’s right-side, or starboard, truss structure to replace and install new power equipment. Commander Shane Kimbrough and NASA astronaut Peggy Whitson will step outside for the first power maintenance spacewalk Friday at 7 a.m. EST. Kimbrough will be joined by European Space Agency astronaut Thomas Pesquet the following Friday for the second spacewalk. The three astronauts are reviewing spacewalk procedures, collecting tools and configuring cameras in the U.S. Quest airlock today. Robotics controllers remotely removed nickel-hydrogen batteries and installed new lithium-ion batteries on the starboard-4 truss over the holidays and into the New Year. The robotics work sets up the power maintenance work the spacewalkers will perform including replacing adapter plates and relocating the old batteries. The three astronauts and their fellow cosmonauts still had time for a variety of science work and standard orbital maintenance. Kimbrough and Whitson explored how microgravity affects body shape and impacts suit sizing. Pesquet joined Andrey Borisenko and set up tiny internal satellites known as SPHERES for an upcoming student competition. Cosmonauts Sergey Ryzhikov and Oleg Novitskiy checked Russian life support systems. Succes in misiunea voastra si sa va intoarceti cu bine dupa terminarea ei.